After rebounding on Monday, crude oil prices dipped on Tuesday as traders weighed a monthly governmental production forecast and awaited weekly supply reports, according to Bloomberg MarketWatch. On the New York Mercantile Exchange, June West Texas Intermediate crude fell by 55 cents, or 1.2%, to settle at $45.88 a barrel. July Brent crude, the global benchmark, lost 61 cents, or 1.2%, to end trading at $48.73 a barrel on the London ICE Futures Exchange. On Tuesday, the U.S. Energy Information Administration released its monthly report forecasting domestic crude production at an average 9.31 million barrels a day in 2017, up 1% from the previous forecast. The agency sees 2018 output at 9.96 million barrels a day, up 0.6% from the previous forecast. 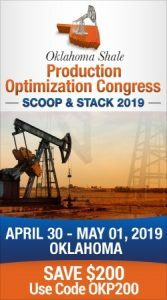 “Increased drilling rig activity is expected to boost U.S. crude oil production this year and next,” said Howard Gruenspecht, EIA acting administrator, in a statement. The American Petroleum Institute’s weekly report on domestic petroleum supplies is due late Tuesday, with the EIA’s weekly report set for release Wednesday. 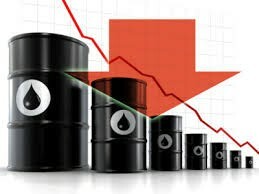 Analysts surveyed by S&P Global Platts forecast a decline of 1.8 million in crude stockpiles for the week ending May 5. Back on the New York Mercantile Exchange, June natural gas added 1.7% to $3.227 per million British thermal units.